On one of my visits to Mamoni Arriba, I met a woman named Siomara that is probably in her early 30’s. She asked me: “why is the volume of water in the Mamoni River less now then it was when I was a little girl?” Well, of course I did not know that the volume of the river was less now than before. 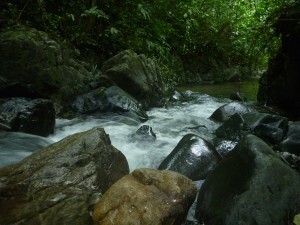 This was only my second visit to Mamoni Arriba and I hadn’t learned much about the river. The first thing that occurred to me was the rain. I thought, “well, maybe it is raining less now than it did before”, but some of 能量醫學 the local people seemed to disagree. Most people I know haven’t perceived any changes in the rainfall pattern. They did however, agree that the water volume of the Mamoni River is less now than twenty years cheap football jerseys ago. Although the rain subject should be investigated a little bit further, I started thinking about other alternatives for why this must be. It occurred to me cheap nba jerseys that I should focus of things that have changed in Mamoni Arriba. Well, it might be directly related to deforestation. As ecoReserve continues exploring the Mamoni Arriba area, it will be interesting to understand the historical and temporal patterns of deforestation and what drove them. 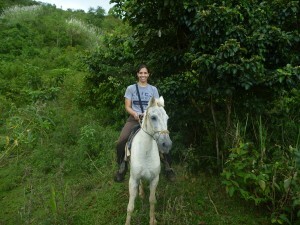 Today, the most common land use practice in Mamoni Arriba is cattle ranching. Most ranchers from Mamoni Arriba that are my age (between 25-35 years old), belong to the second generation of immigrants that moved from the southern part of Panama into Mamoni Arriba. Once they arrived, they clear cut the land and burned it. 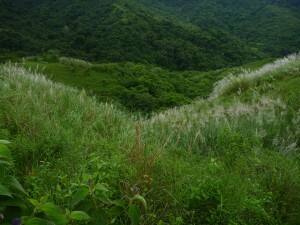 Later, they planted exotic grass species to feed the cattle. I have to point out that this is an oversimplification of the immigration process but, in general terms this is what drove deforestation. 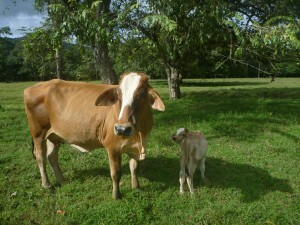 One family in Mamoni Arriba today can have up to 140 cows. Each cow requires 1 hectare of land to graze. I don’t know how much the landscape has changed in the past twenty years, but my guess is that it has changed a lot. The fact is that without trees, water can’t be storaged on the ground. Consequently, the water springs that typically form inside the forest are lost. I have been able to find many water springs during my hikes. I suspect we could find hundreds of them that eventually flow into streams that end up in the Mamoni River. One tree in the forest is so much more than a trunk with leaves. It is a living organism that storage water on the ground by providing space between its roots and the soil; its leaves provide shade that contains the humidity on the ground. In addition, when the ground water encounters a rock, it is forced out and filtered by the soil so that it is released unto the surface clean and sweet. When trees are lost, all of its effects go with them and the ground becomes dry. I think Siomara’s question is ray ban outlet interesting and we cheap MLB Jerseys should look more into it. Either way, one of the most immediate impacts of ecoReserve in Mamoni Arriba is that we are protecting a significant number of water springs and streams that are used by the local people. To me, one of the most fascinating events during my visits was when I drank water directly from a stream. This simple act is something that I hope future generations will still be able to enjoy. I cheap jordans for sale will tease you with some cheap fake oakleys anecdotes so that eventually you will have to come to Mamoni Arriba to make your own stories! The man standing to the left of the Corotu tree (Enterolobium cyclocarpum) is of course, Arsenio. This photo was taken on Arsenio’s farm. 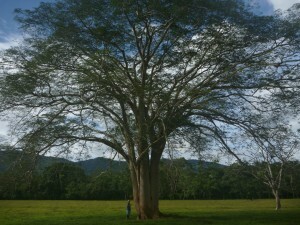 The Corotu is a massive tree that farmers allow to grow on their farms because cattle love to eat its fruits. I wholesale nfl jerseys particularly love to find this tree in the forest because like many legumes, it has tiny leaflets that allow sparks of cheap oakleys sunglasses sunlight to penetrate through the forest canopy. On the photo below are some of Arsenio’s cows. It might seem odd that I am posting photos of cows on a website dedicated to forest conservation, but cows are an important part of the culture in nfl jerseys cheap Mamoni Arriba. Many people in the area are in the cattle business. They rear the calves and sell the cows in Chepo which is a town 2 hours from Mamoni Arriba. The women in Mamoni Arriba make hats with fibers that are extracted from a local plant that is commonly known as Junco. This species grows along rivers like the Mamoni River. They collect the shoots from the Junco plant, dry it and extract the fiber to weave the hats. For women it is very important to have a wholesale football jerseys china garden surrounding על their houses. Florinda, Arsenio’s mom, has an extraordinary collection of orchids. 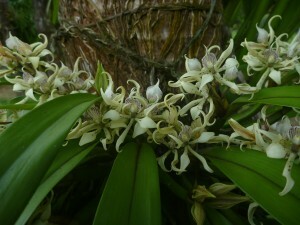 Orchids are To an epiphytic plant, which means that they live on top of other plants without hurting their host. Florinda also has terrestrial garden flowers including Hibiscus, Ixora, Roses, and Impatiens. 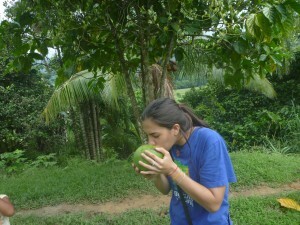 Before leaving, Arsenio offered some coconut water or “agua de pipa”. 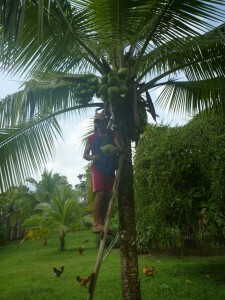 The coconut water is the Cheap Jerseys clear liquid inside the young coconut fruit. It is sweet and refreshing. You must not be Cheap Football Jerseys afraid of heights to collect the coconut fruit. You must also be skillful with the machete to remove the outer green husk. Producer : Lauren Shuler Donner, Hutch Parker, Simon Kinberg. 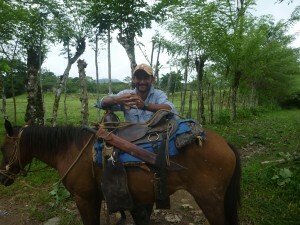 En cuanto llegué a Mamoní Arriba encontré a Arsenio esperándome con dos caballos. No tenía planeado montarme en un caballo, pero me tocaba por primera vez en mi vida montar para poder llegar al filo de la montaña que vamos a restaurar. El nombre de mi caballo era Ardillo, según Arsenio porque se parece a una ardilla blanca que es muy común en el área. Le pedí a Arsenio que me diera un curso rápido de equitación, y él respondió con dos ideas “debes montar con seguridad y un verdadero jinete es el que se ha caído del caballo por lo menos una vez”. Por supuesto yo pensé “hoy no me quiero convertir en un verdadero jinete”. 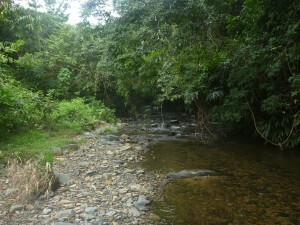 Empezamos la cabalgata a la montaña por un camino que empieza donde el río Mamoní se une con la quebrada del Espavé. El objetivo de esta gira era llegar a las parcelas de ecoReserve. 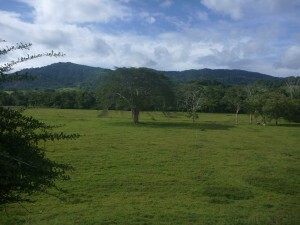 Antes de que llegara ecoReserve estas tierras habían sido utilizadas en su mayoría para el pastoreo de las vacas. Estas parcelas están en el filo de la montaña, y para llegar era necesario montar caballo por media hora sobre lomas empinadas y luego viajar media hora caminando. Debido a que comenzamos la caminata temprano en la mañana, nos topamos con una manada de vacas lecheras que iban saliendo de la sala de ordeñar. Intenté contar las cabezas de ganado pero cuando llegué a 25 me detuve. El pastoreo es el uso de suelo más común dentro del área de Mamoní Arriba y tienen un gran valor cultural. Esta práctica es un problema ecológico en el área porque requiere de la tala del bosque. Una vez que se ha talado el bosque se introducen pastos exóticos para alimentar al ganado; el efecto de estos pastos sumado al impacto del ganado deteriora el suelo. El pastoreo no está restringido al ganado ya que gran cantidad de las tierras usadas en Mamoní Arriba son para alimentar a los caballos. El pastoreo es una práctica no sostenible desde el punto de vista ecológico y económico porque las tierras disponibles para potreros no son infinitas. Arsenio y yo llegamos a las tierras de ecoReserve a la parcela donde queremos comenzar los proyectos de restauración. Esta parcela está sobre un filo que por un lado está rodeada de montañas cubiertas de bosque y por el otro lado se puede ver el valle de Mamoní. Yo hice mi maestría en ecología de restauración y estaba intentando reunir los diferentes conceptos que había estudiado para determinar el potencial que tenía el área para ser restaurada cuando observé la abundancia de la paja canalera (Saccharum spontaneum) sobre las laderas del filo. La paja canalera es un pasto de tres metros de alto que fue introducido por los estadounidenses para evitar la erosión del suelo a lo largo del Canal de Panamá. Hoy en día se ha convertido en una especie invasora que se encuentra a lo largo de todo el país y que es enemiga de cualquiera que desee utilizar las tierras que han invadido incluyendo los restauradores del bosque y los ganaderos.